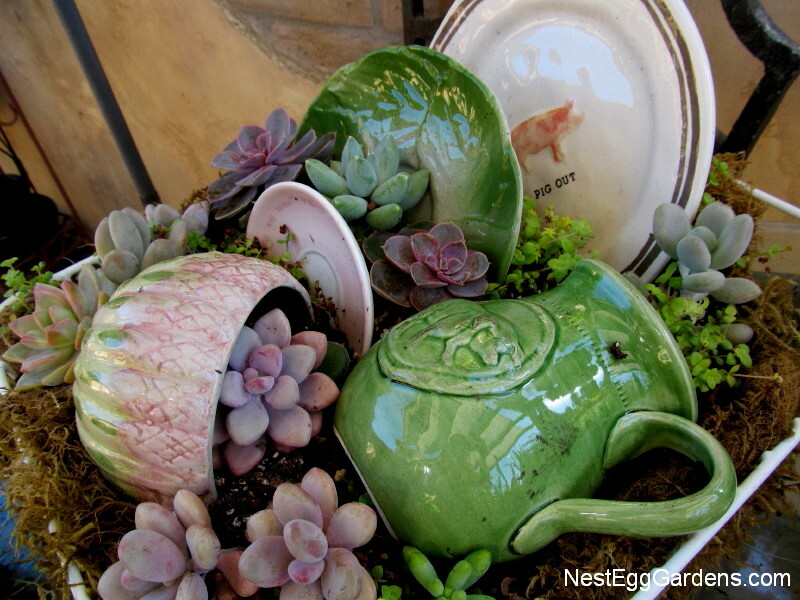 Putting together some tiny pots (and other containers) of succulents. 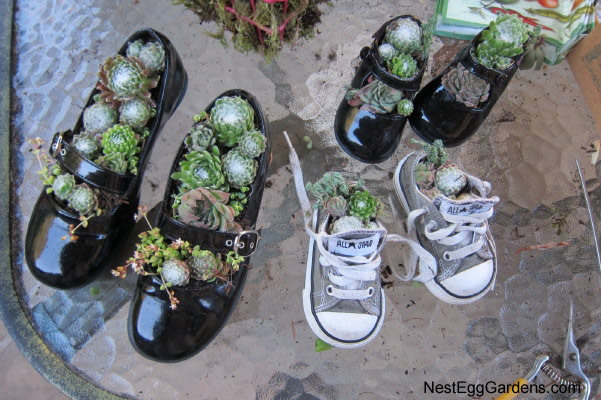 Party favors maybe? 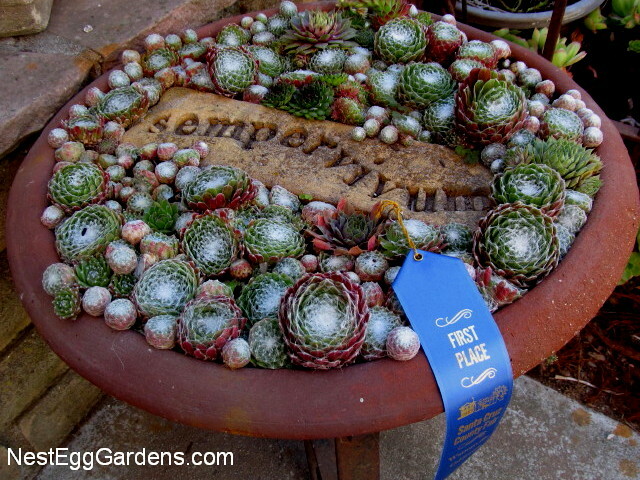 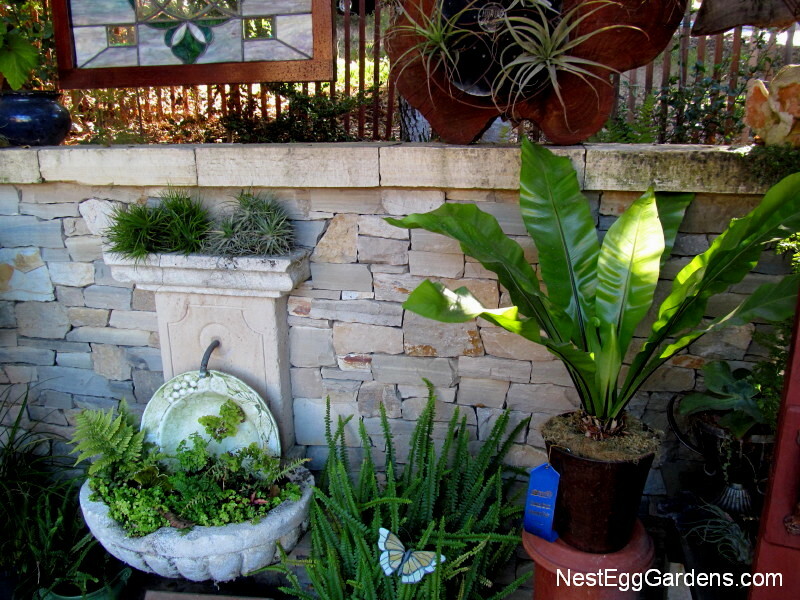 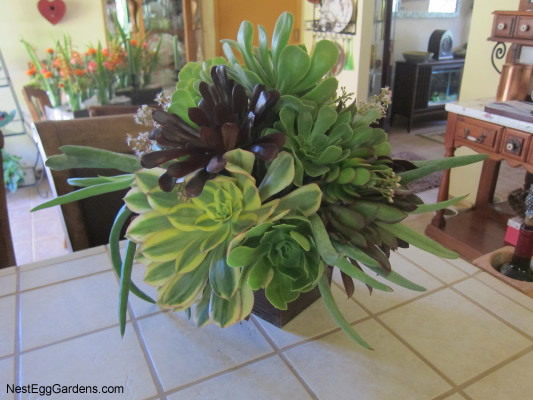 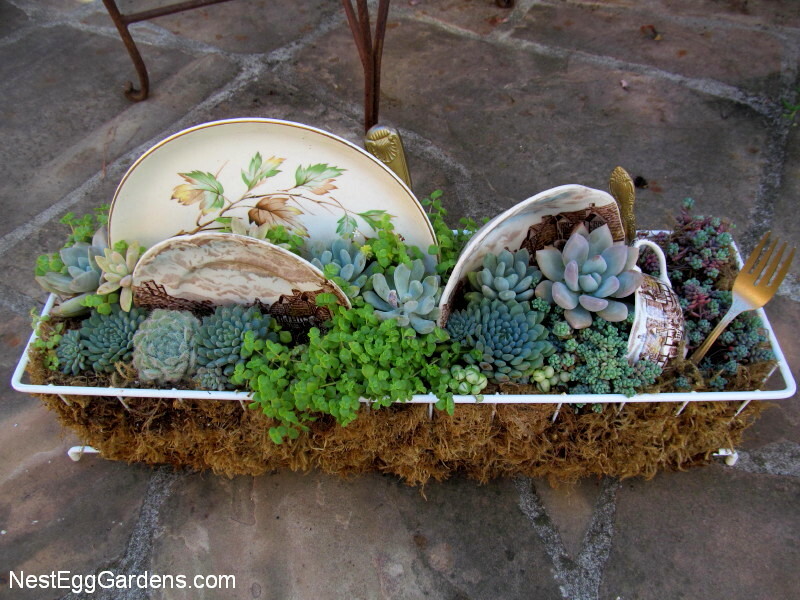 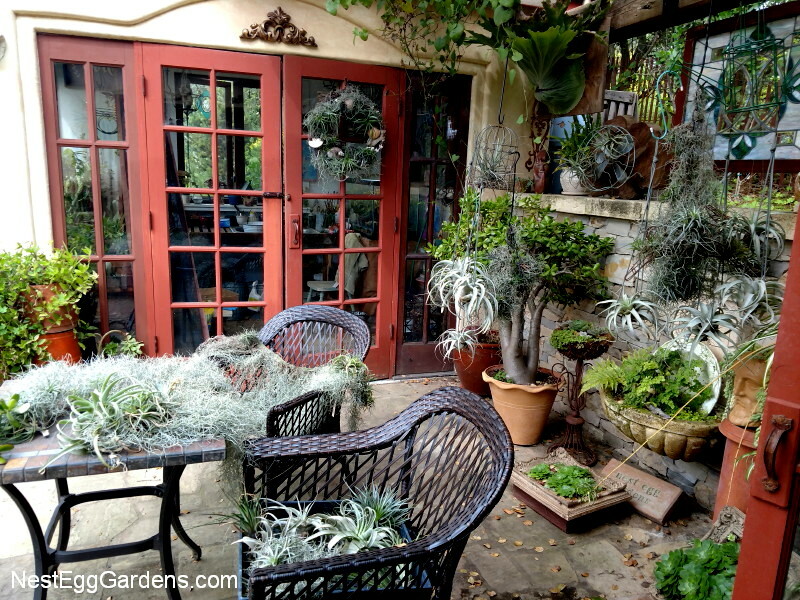 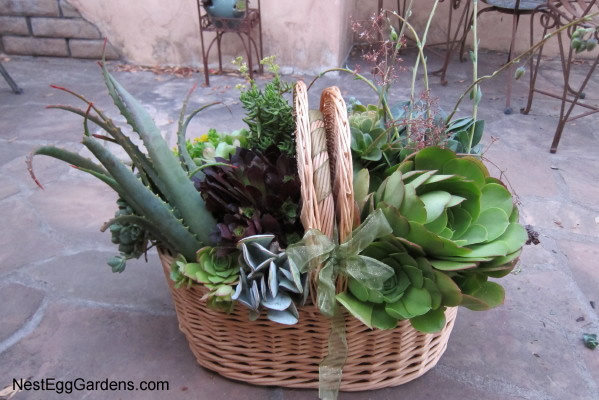 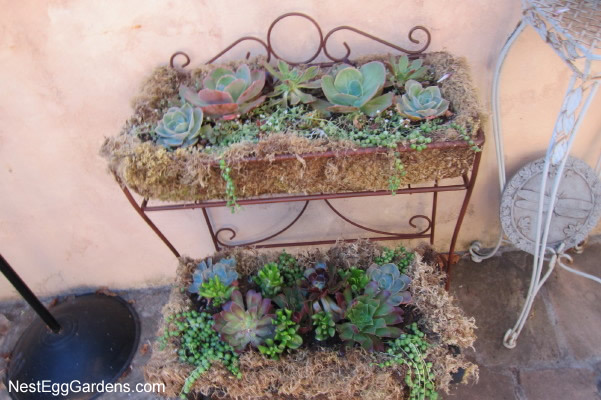 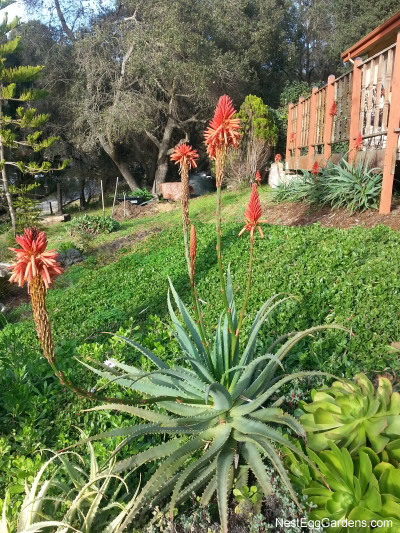 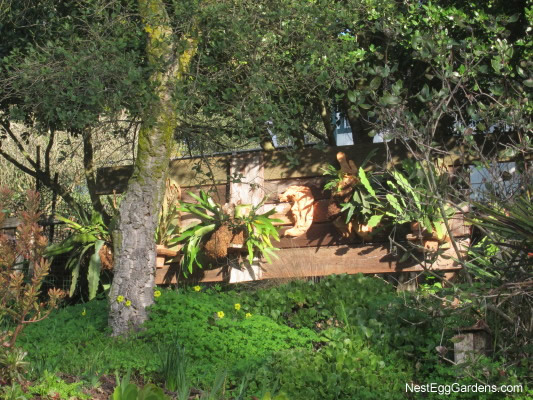 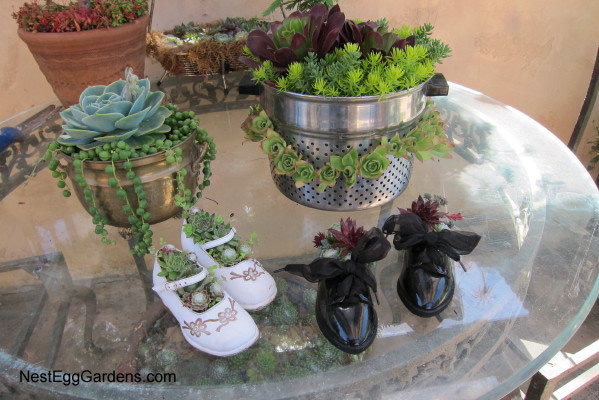 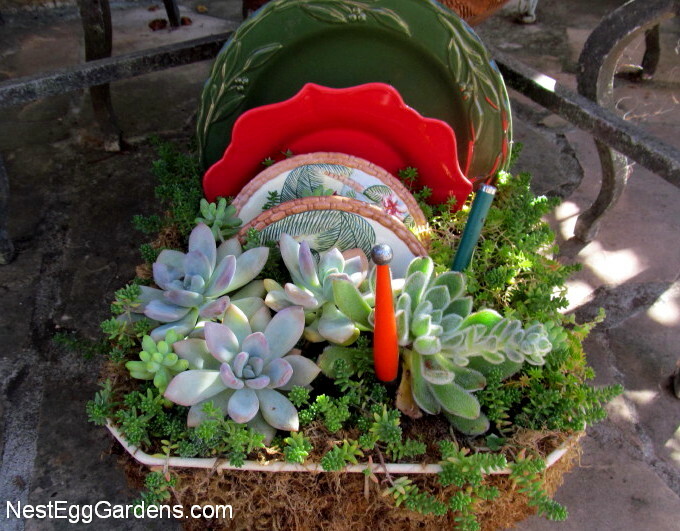 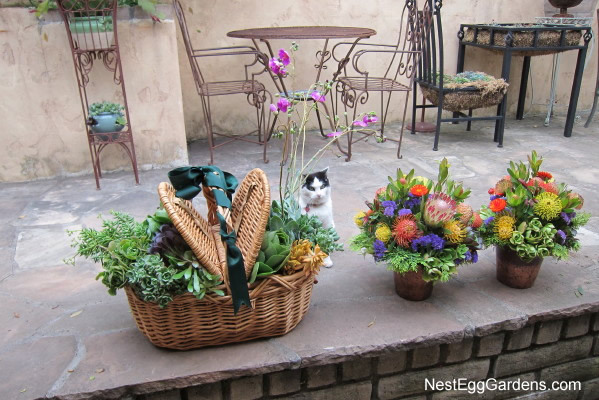 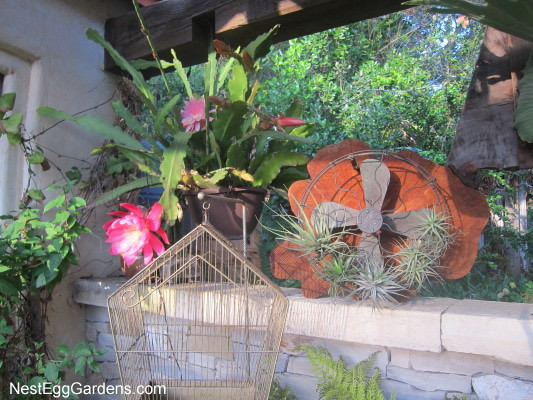 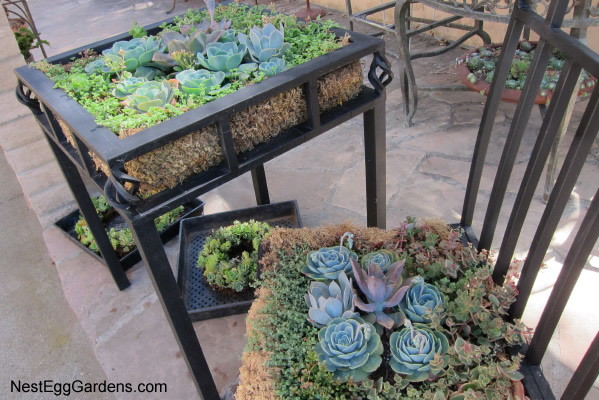 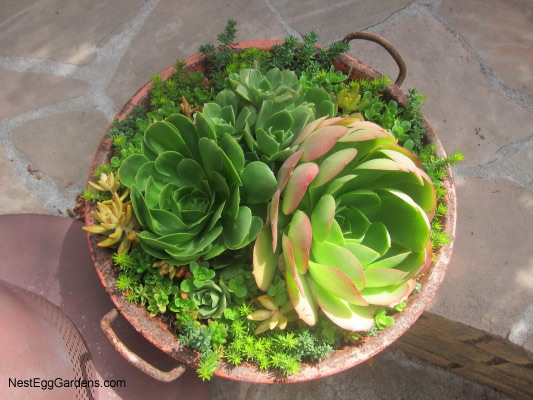 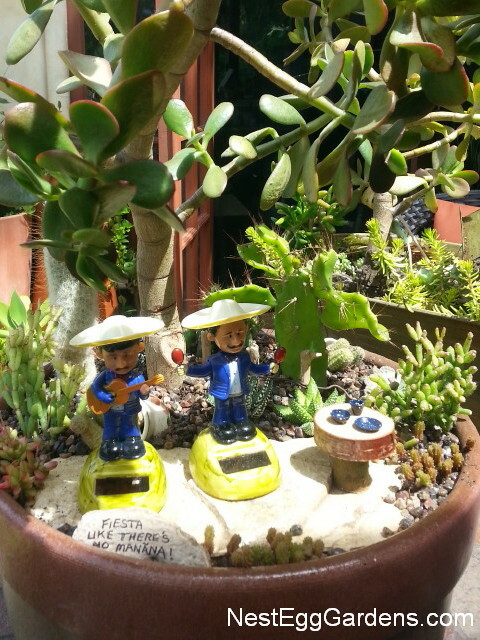 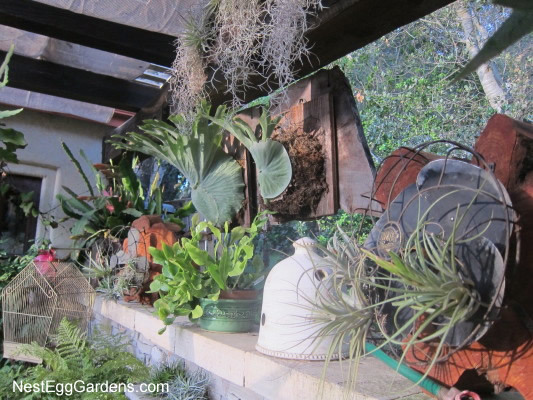 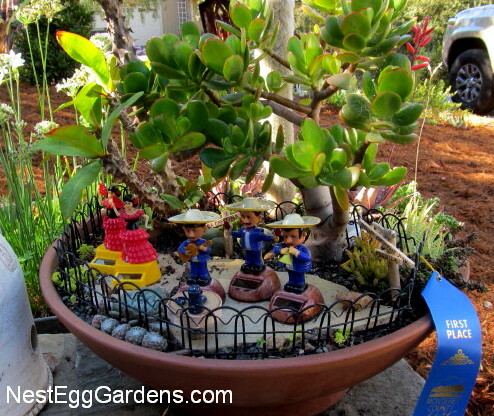 This entry was posted in Flora, Living Art, Succulents on August 27, 2013 by Shelly. 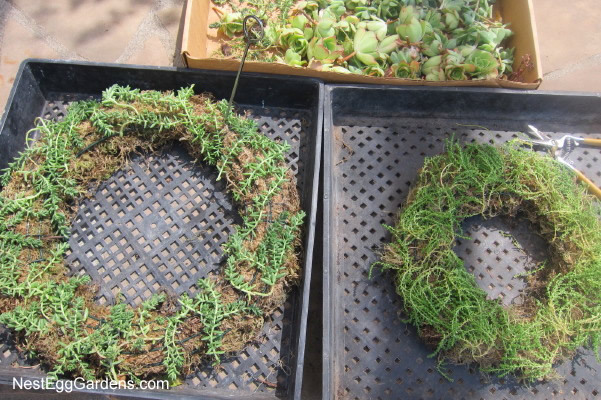 The first step to making good succulent wreaths is growing the succulents that you intend to take cuttings from. 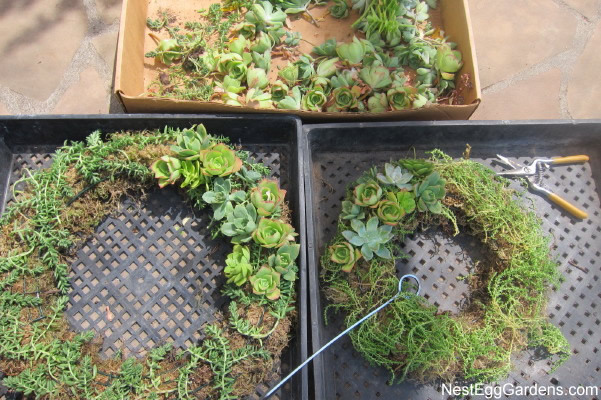 When I prepare a wreath or other container, I start thinking about what kind of succulents to use, keeping in mind the plant’s needs (water/sun) and growth habit (tall/short). 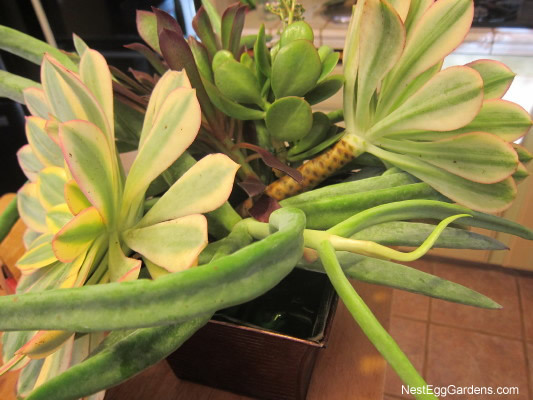 Pay attention to how your plants grow in different conditions to see what I mean. 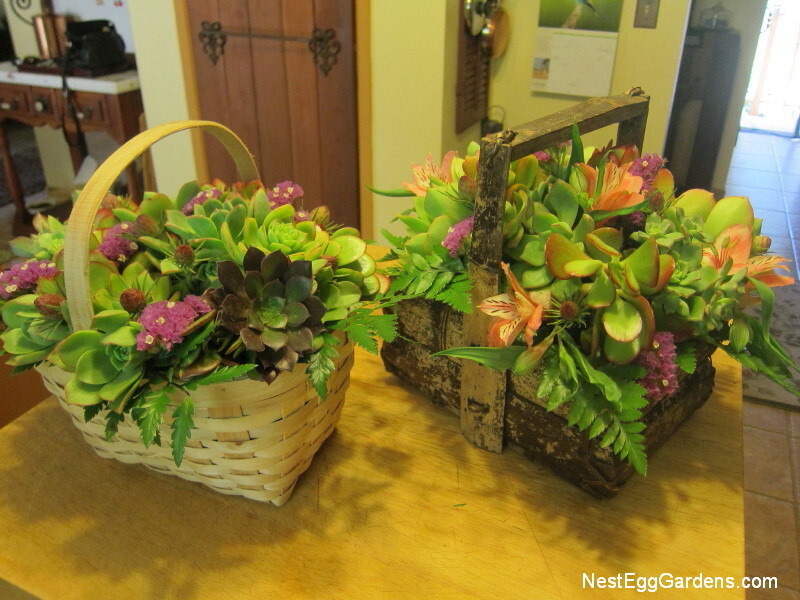 When working on wreaths, I stick with plants that will stay compact. 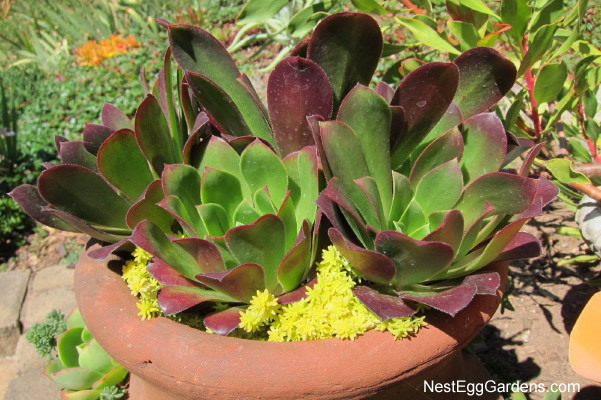 Aeoniums are perfect with their rosette shapes and straight, sturdy stems. 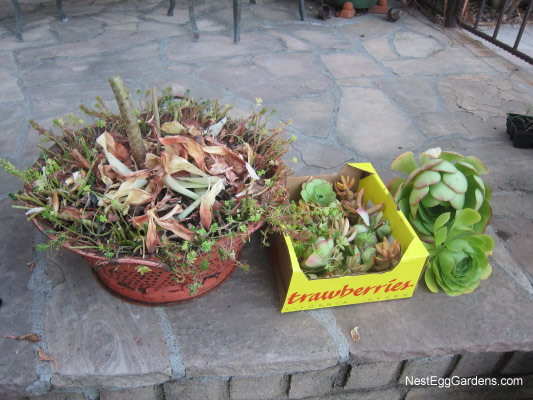 The cuttings should have a day or two to scar over and can sit for weeks. 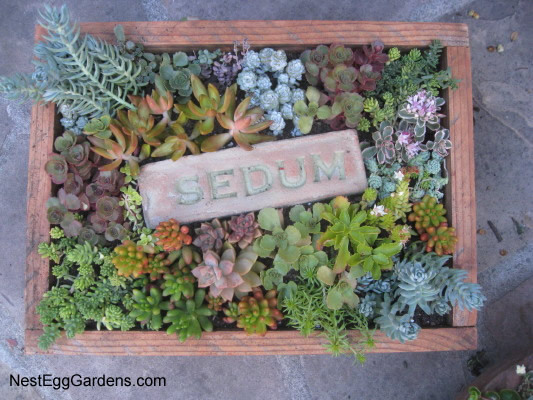 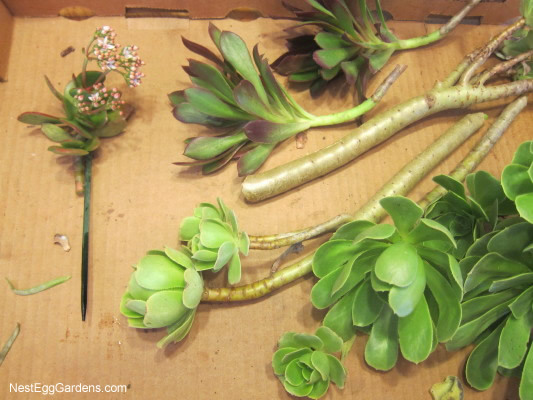 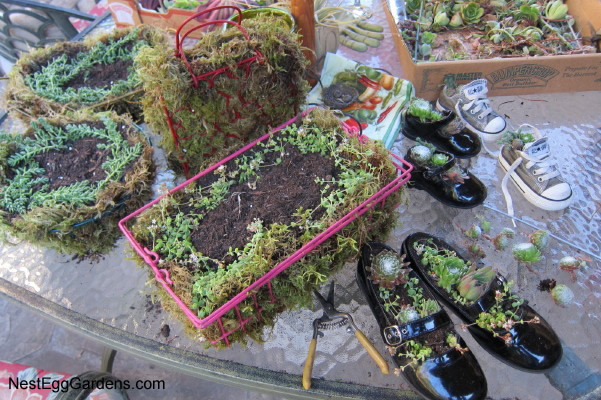 Cover the area, laying on your favorite type of sedum and using a dowel, skewer or other pokey tool, make a hole and insert the cuttings around the frame. 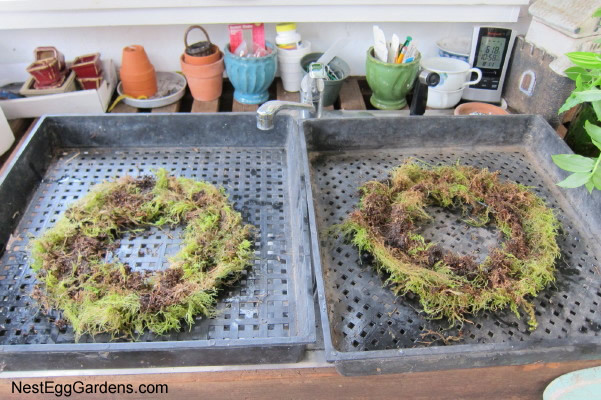 Starting with dry wreath forms helps keep the holes you poke open for the cuttings.The succulent cuttings secures the sedum in place where it can take root and fill i n nicely. 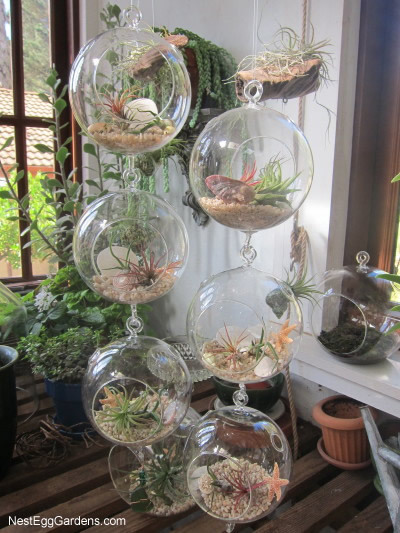 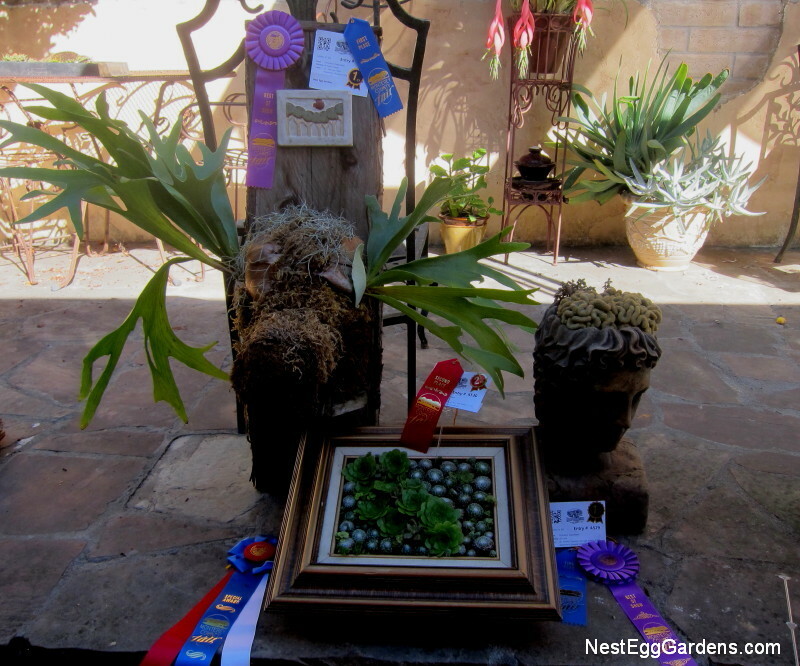 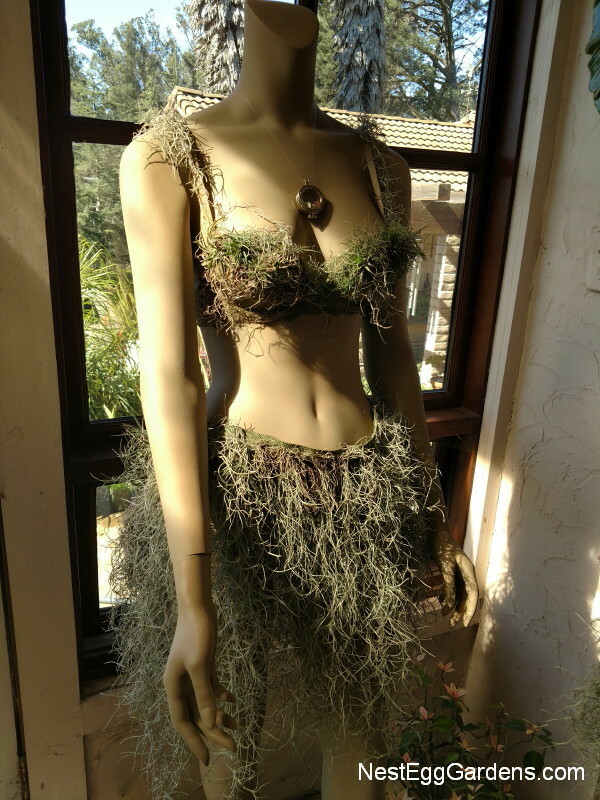 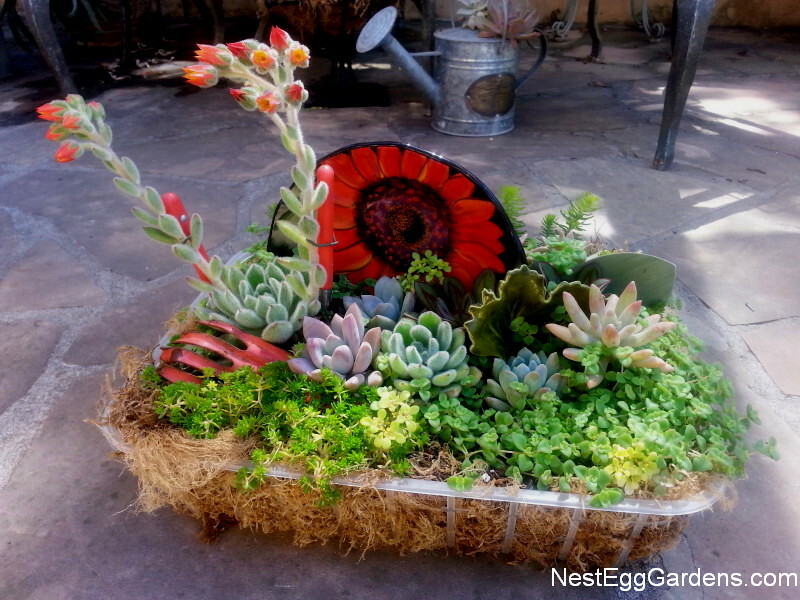 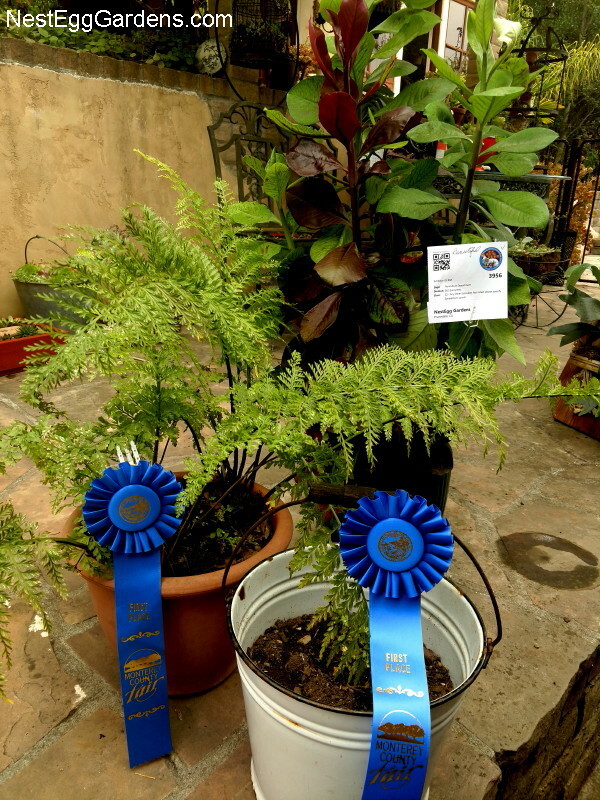 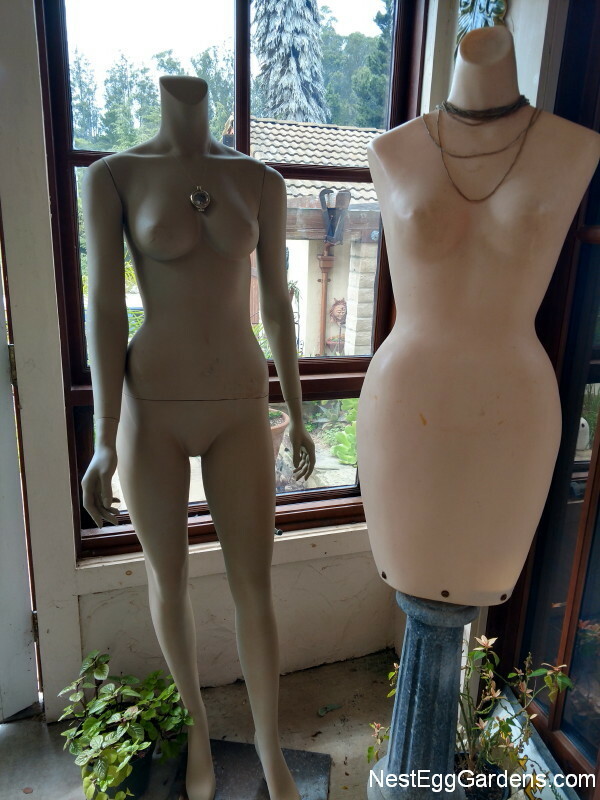 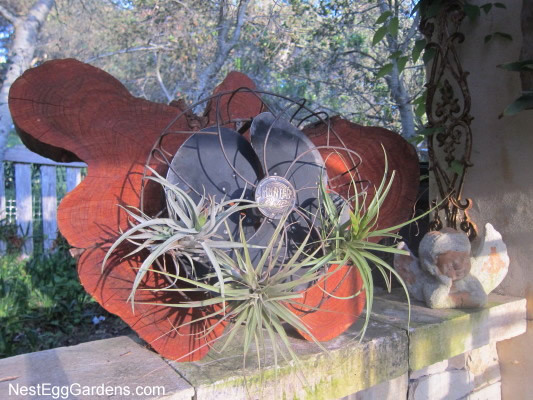 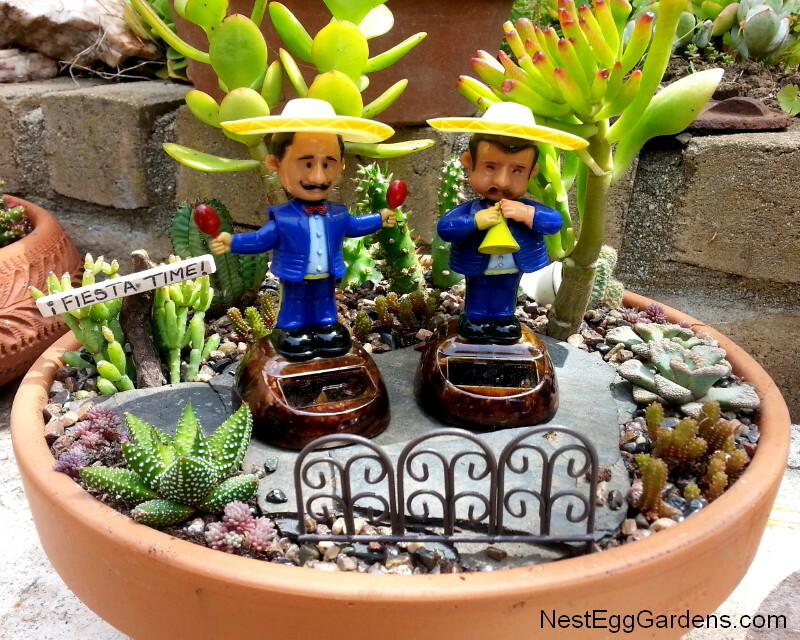 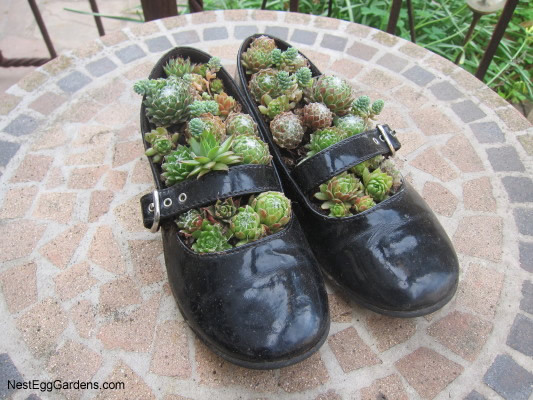 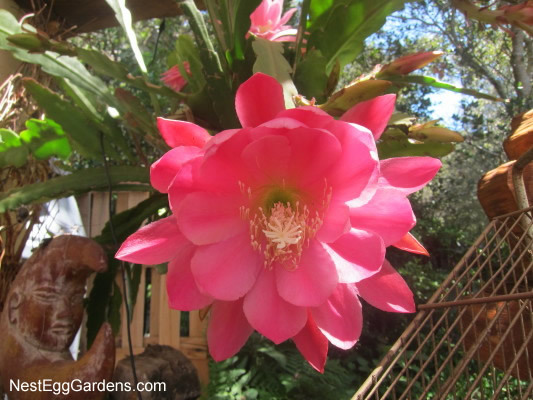 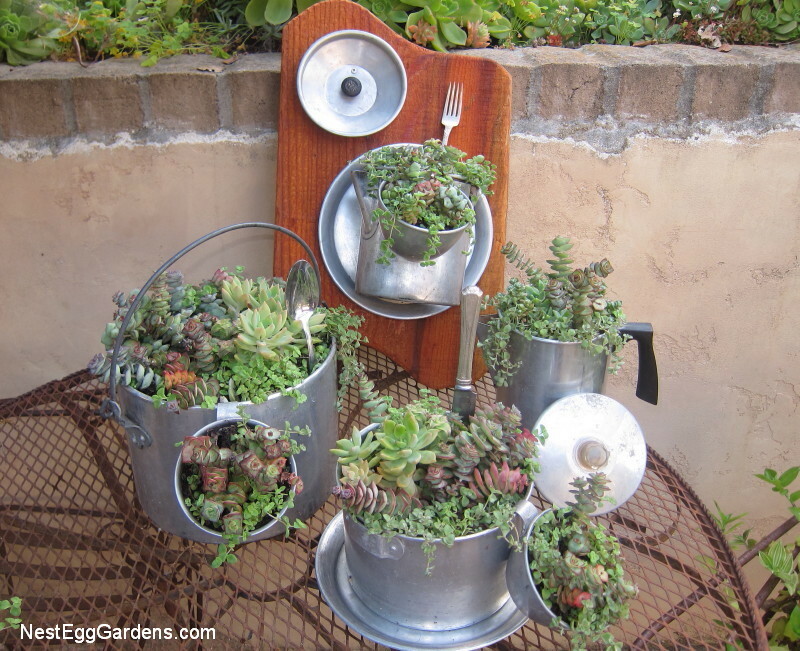 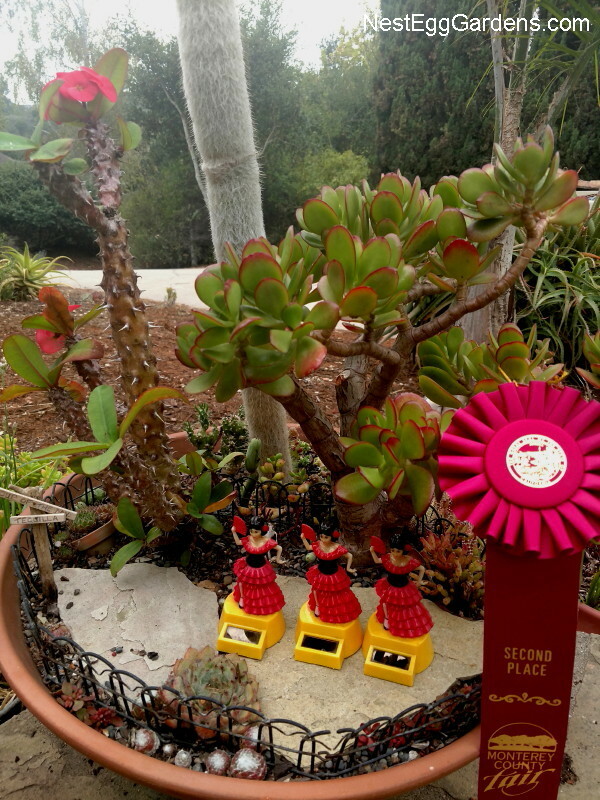 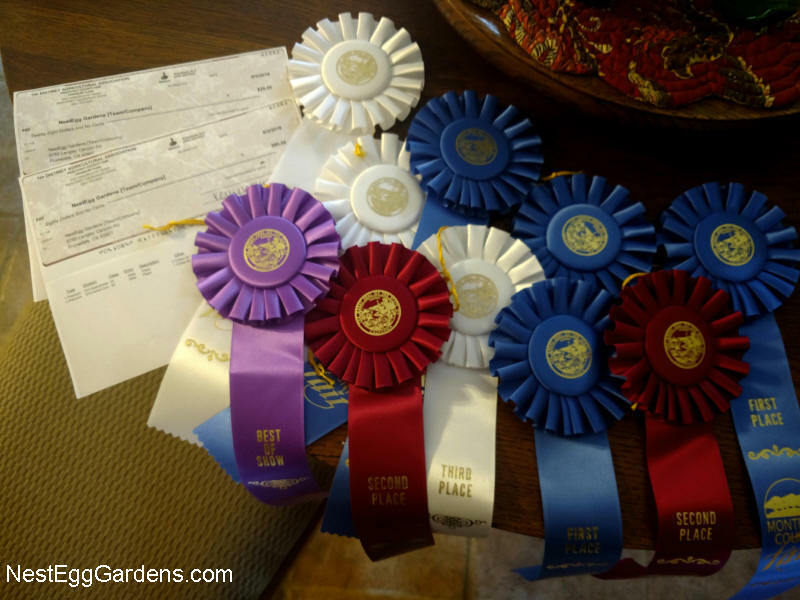 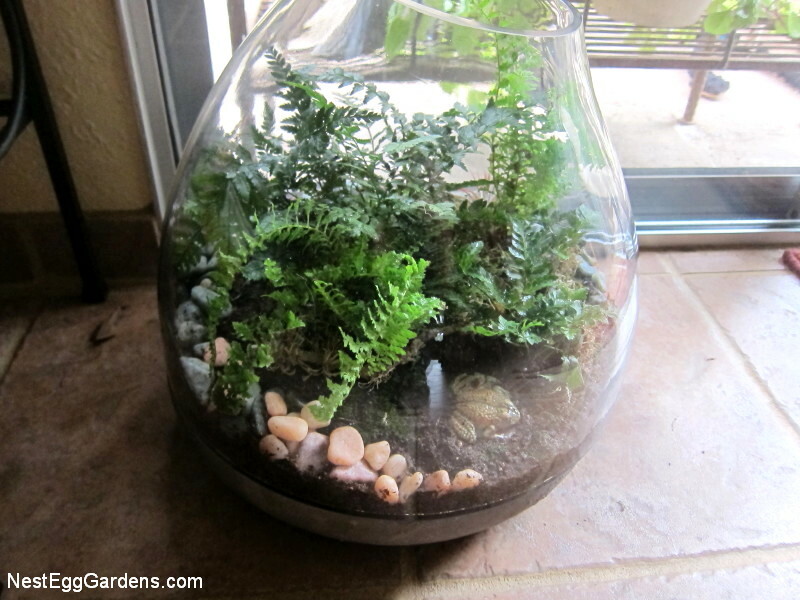 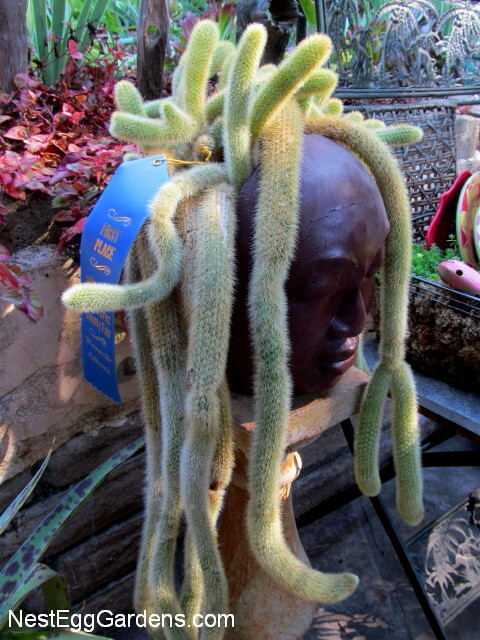 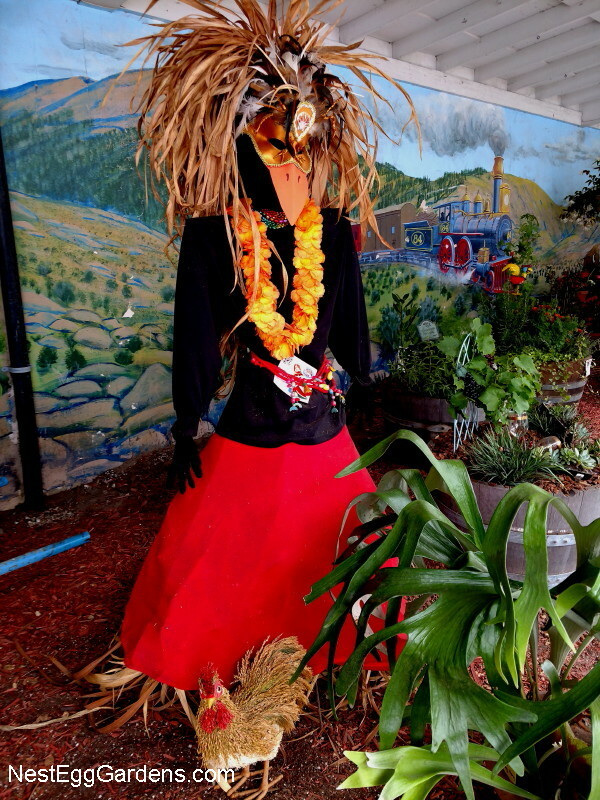 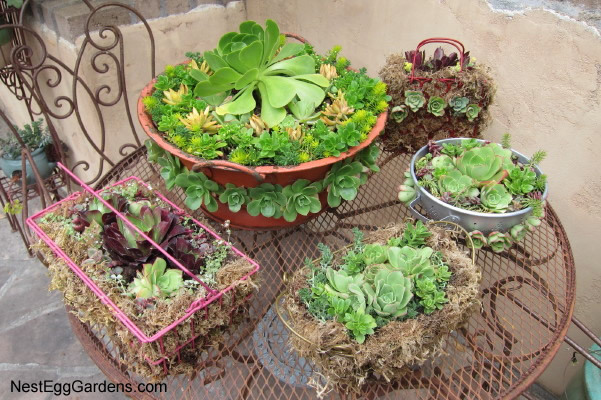 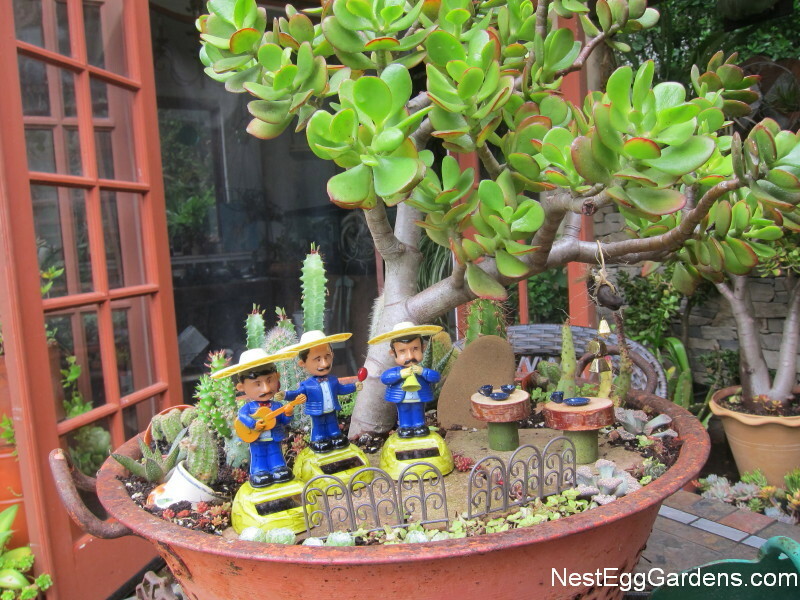 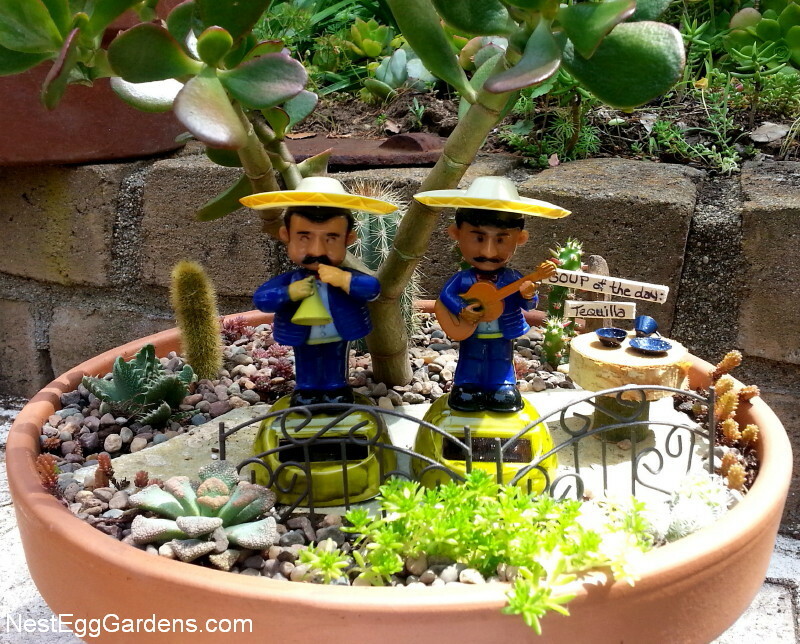 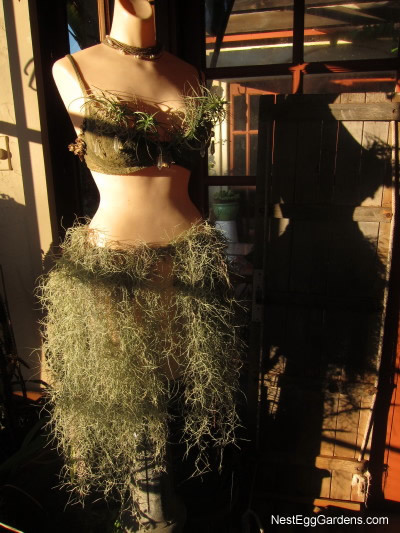 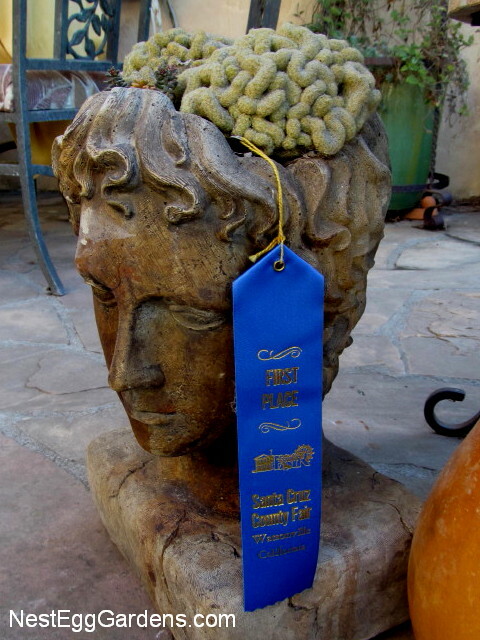 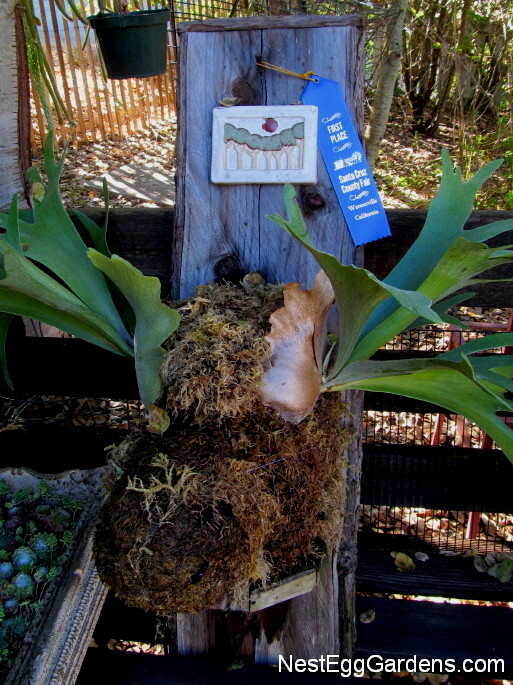 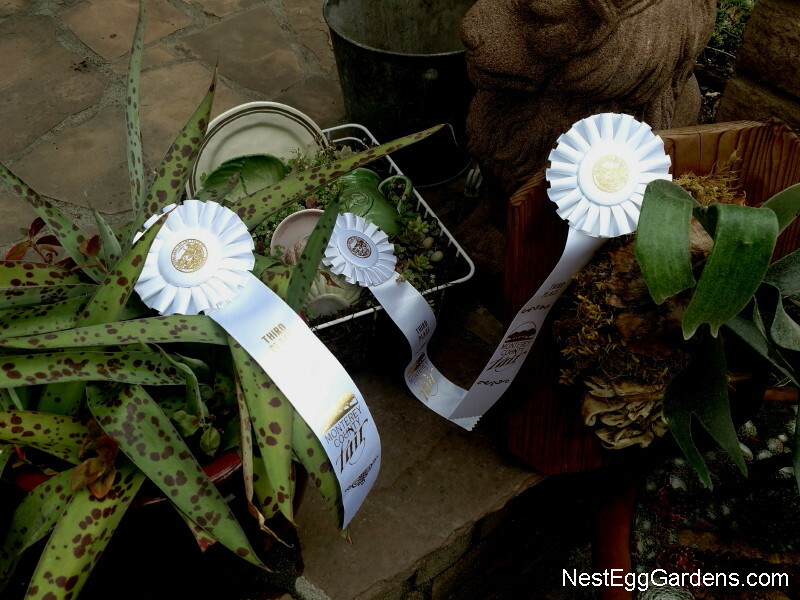 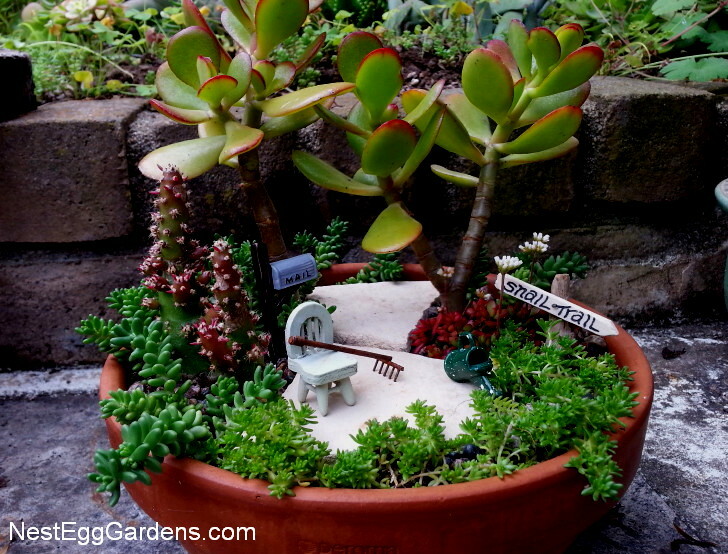 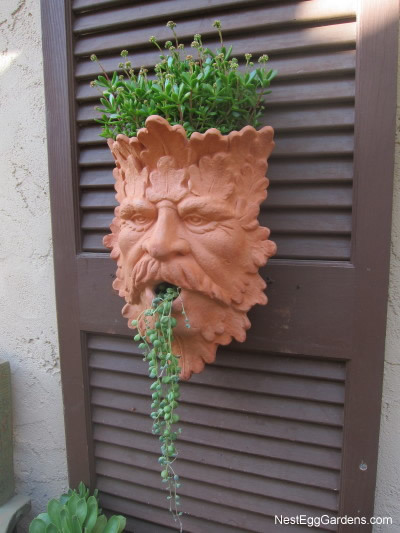 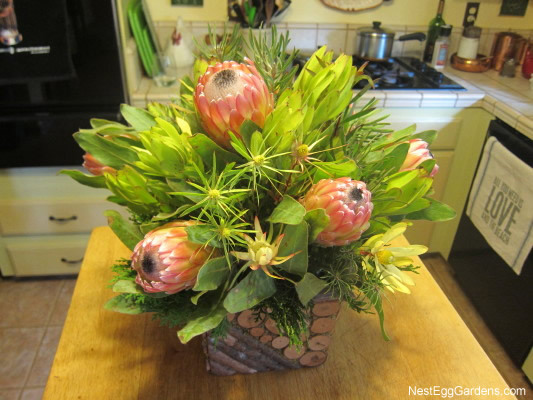 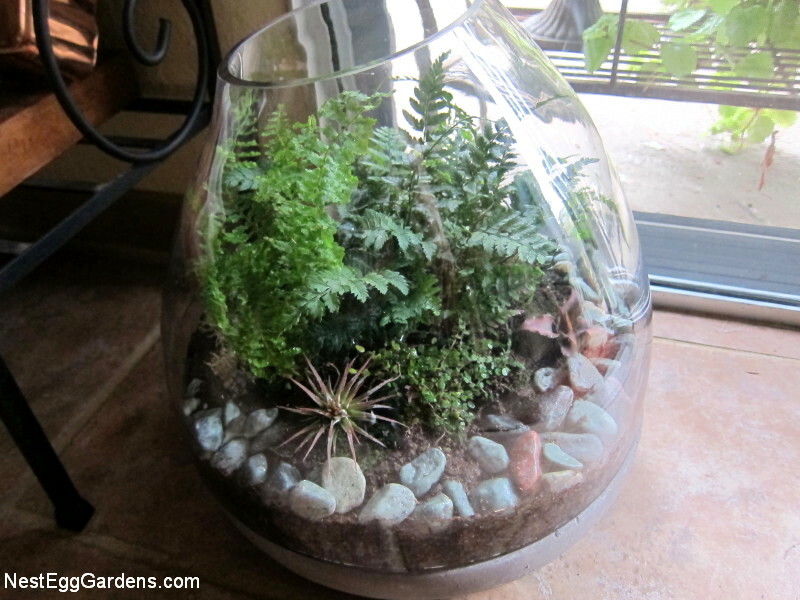 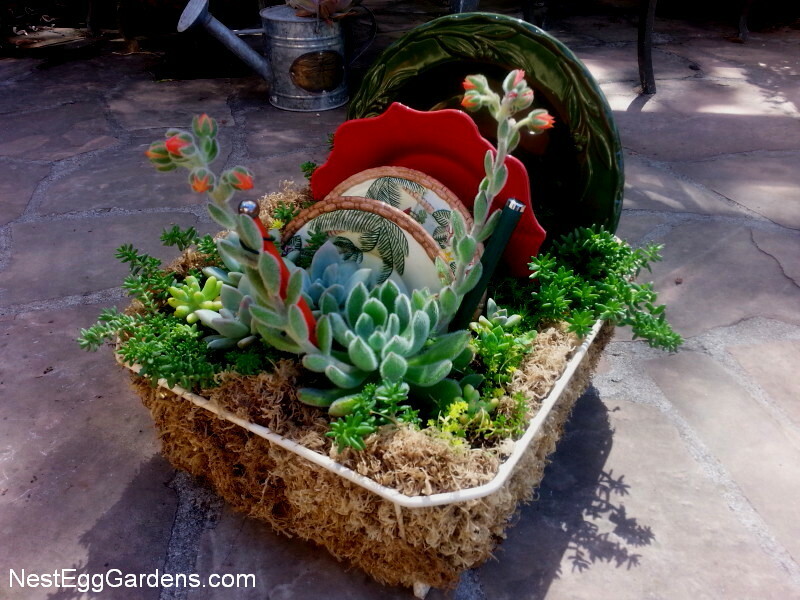 This entry was posted in Flora, Living Art, Projects, Succulents on August 19, 2013 by Shelly. 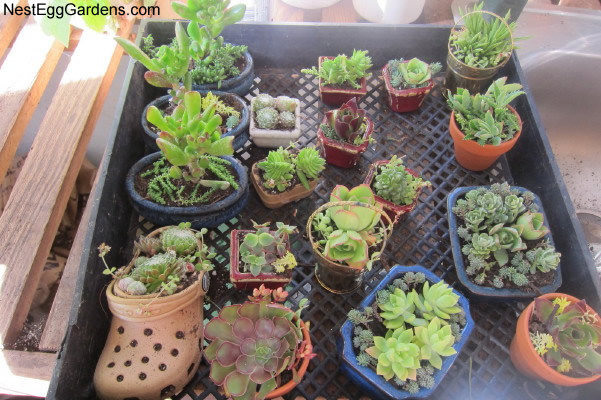 This huge genus of flowering plants (Crassulaceae family) has over 600 species in the Northern Hemishere. 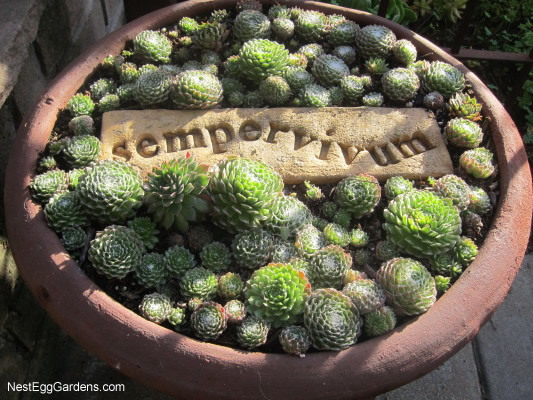 Commonly aka stonecrops, they vary from tiny, to low and creeping, to shrub-sized plants. 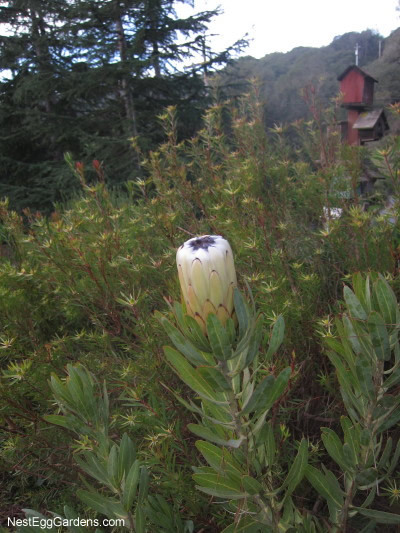 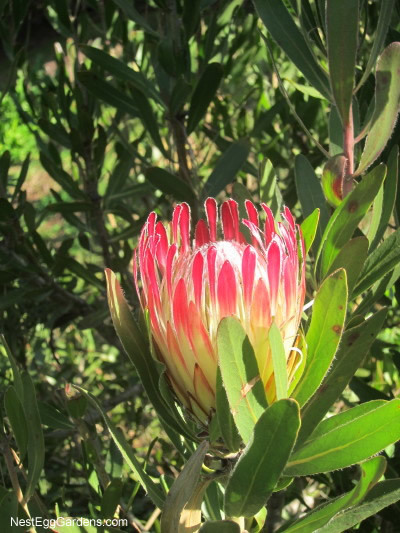 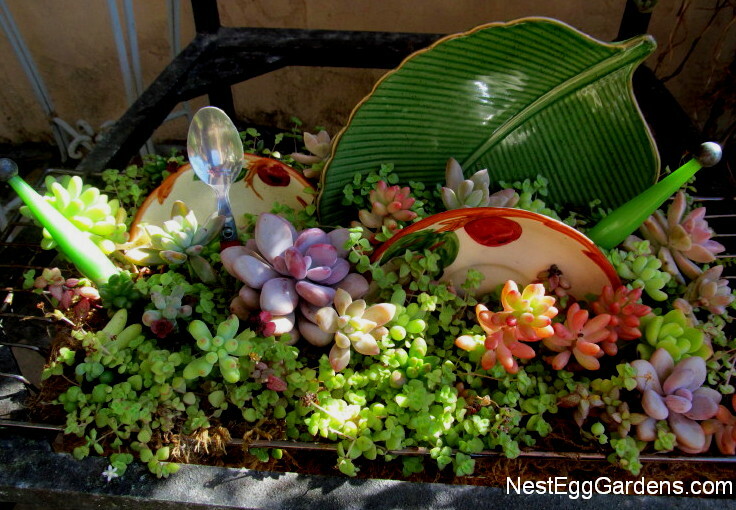 Drought tolerant, they store water in their leaves. 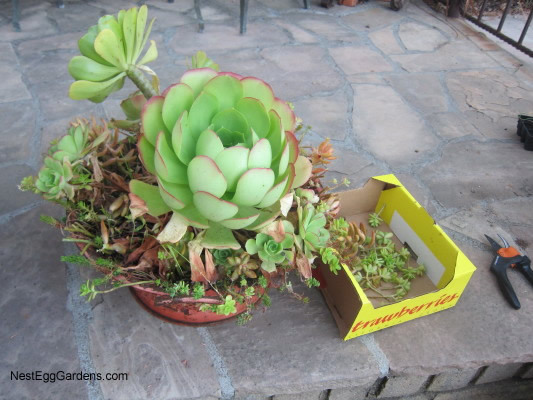 They grow well with other succulents and I use them in almost all of my plantingsâ€¦ to fill in, plump up, and spill over the sides of containers. 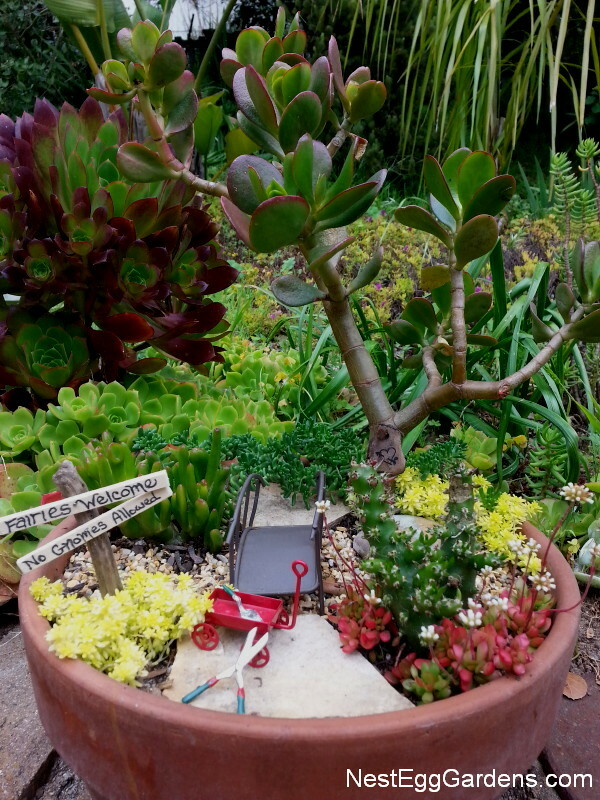 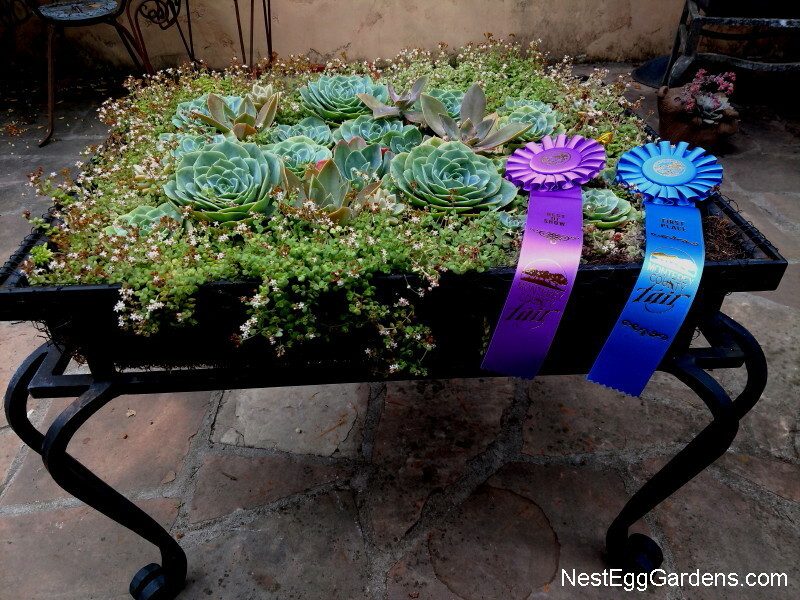 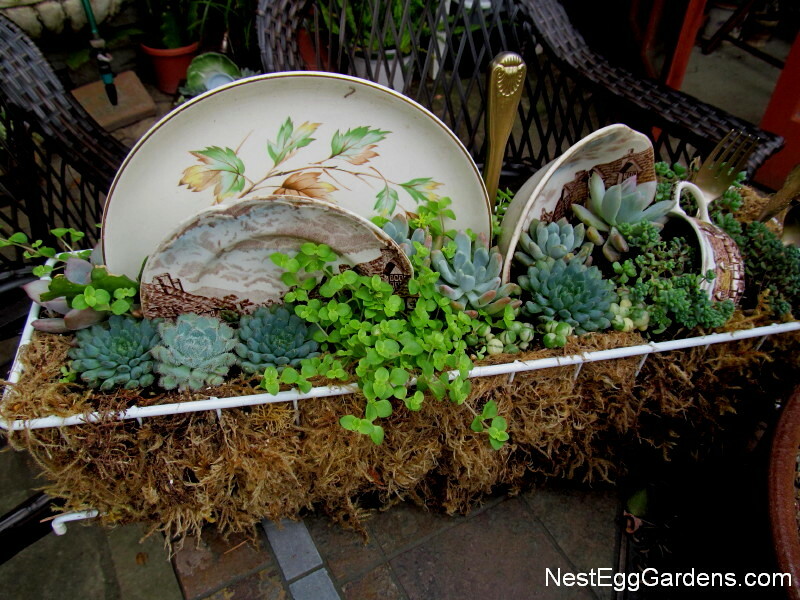 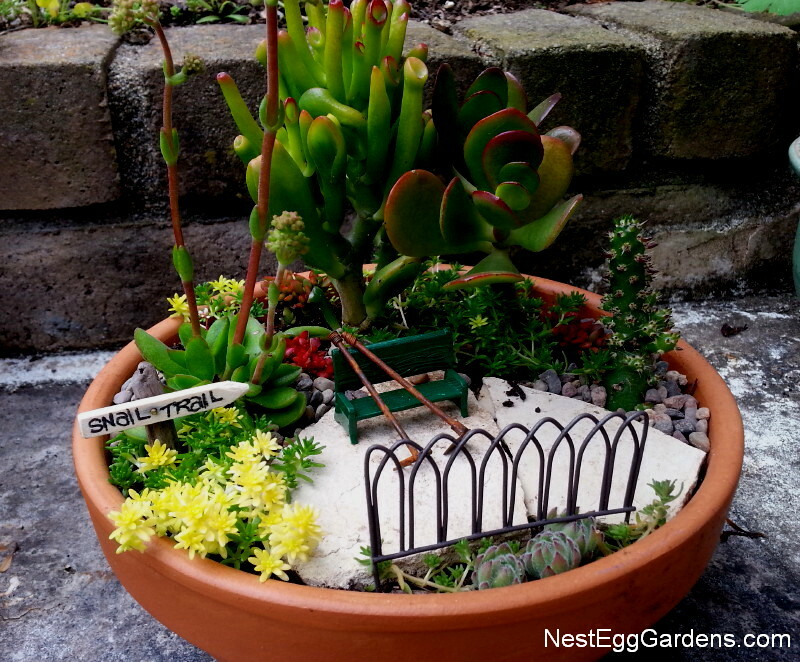 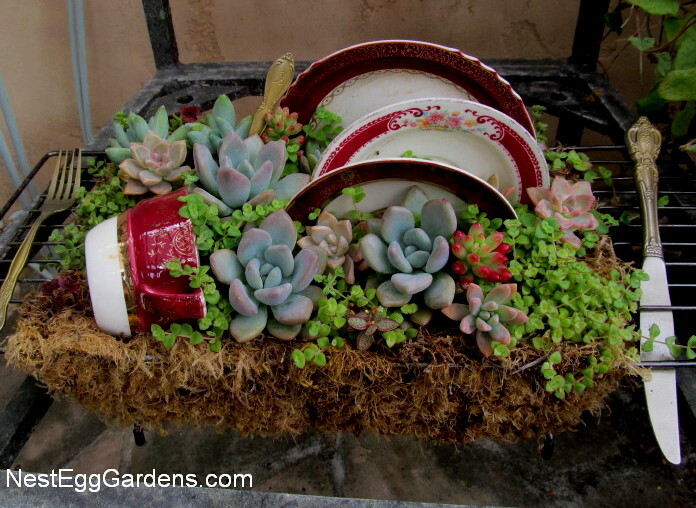 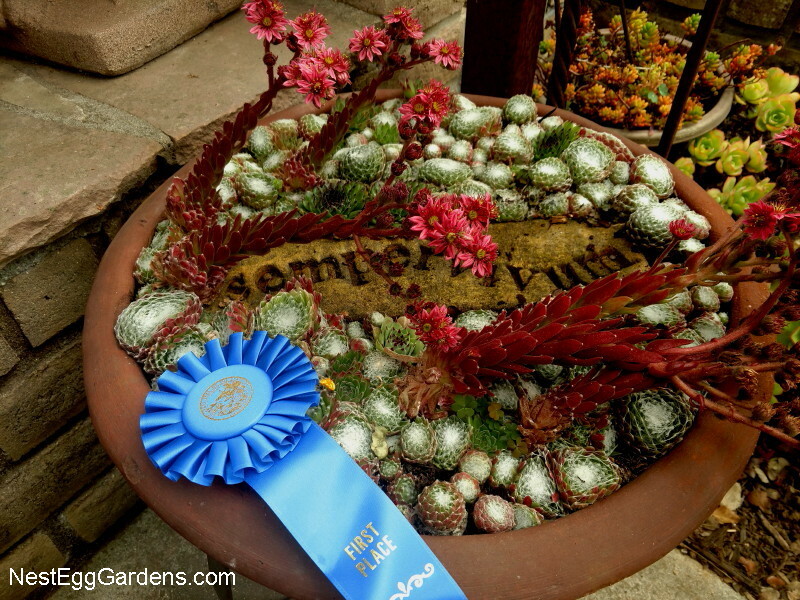 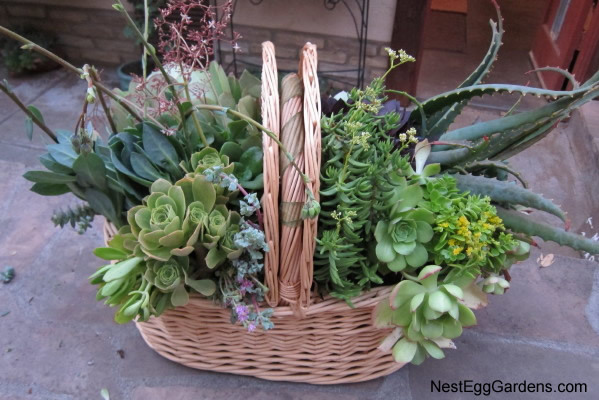 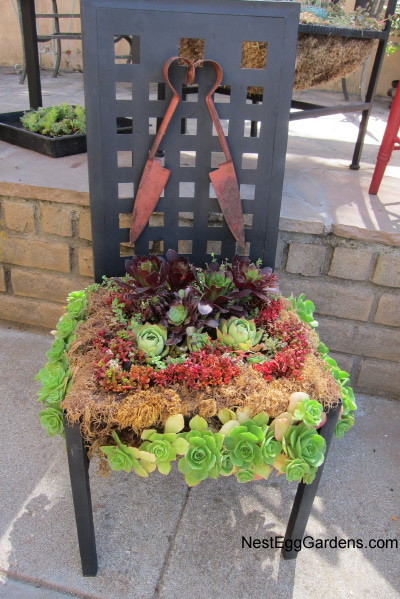 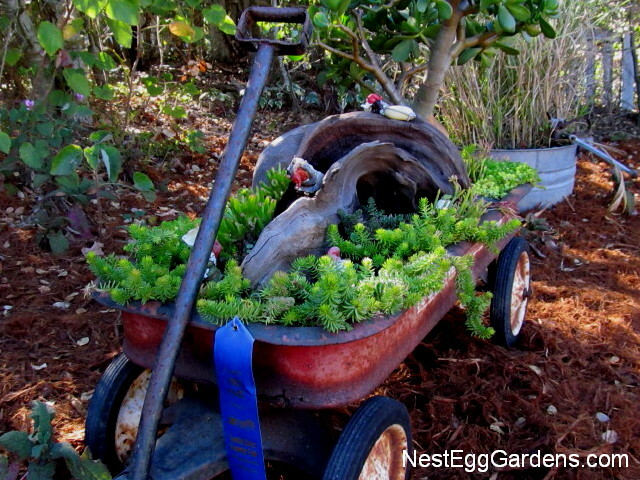 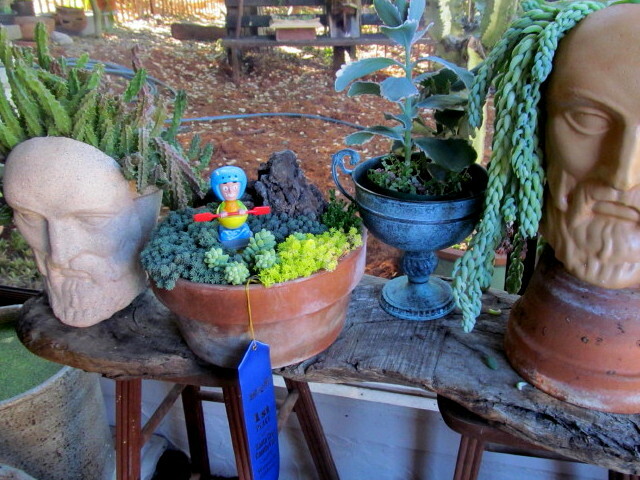 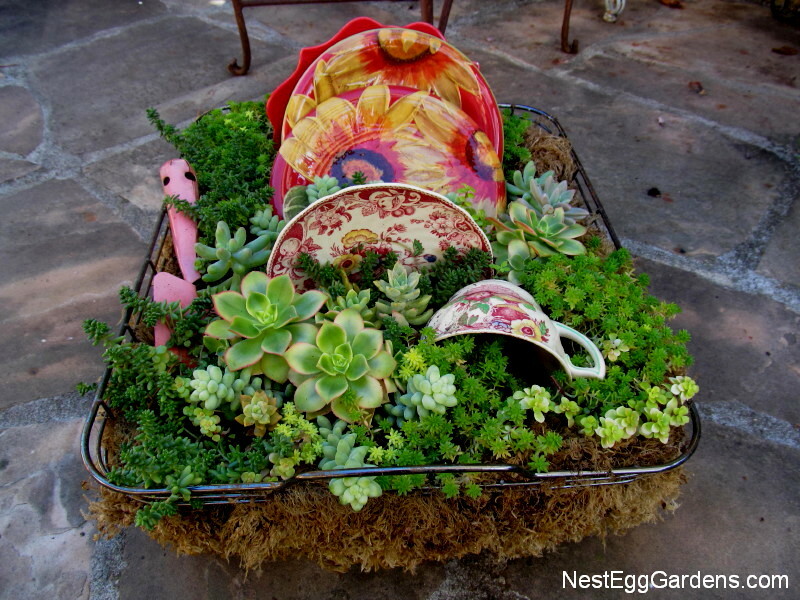 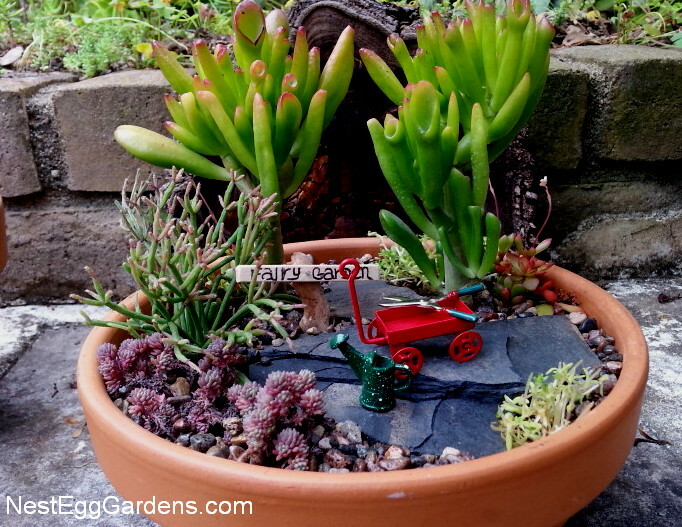 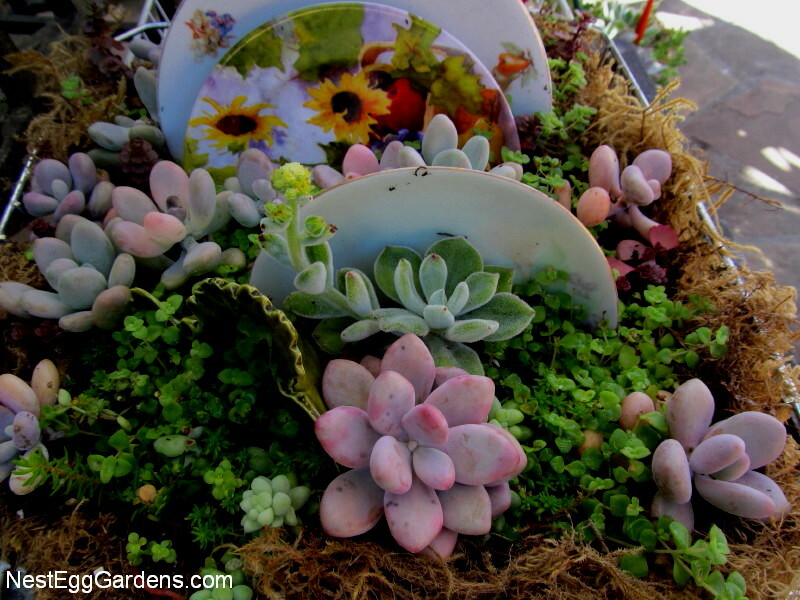 This entry was posted in Flora, Living Art, Succulents and tagged sedum on August 18, 2013 by Shelly. 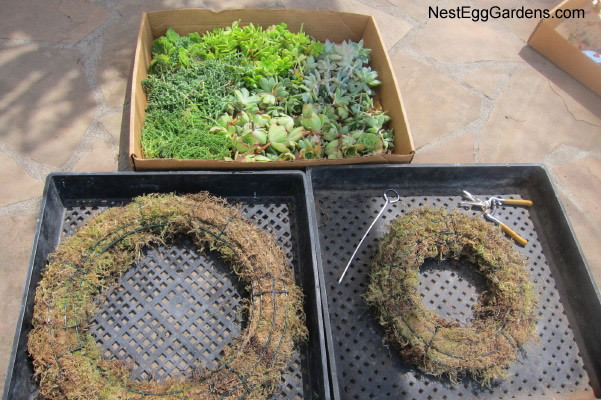 Start with two wire box wreath frames (10″ to 16″D work best). 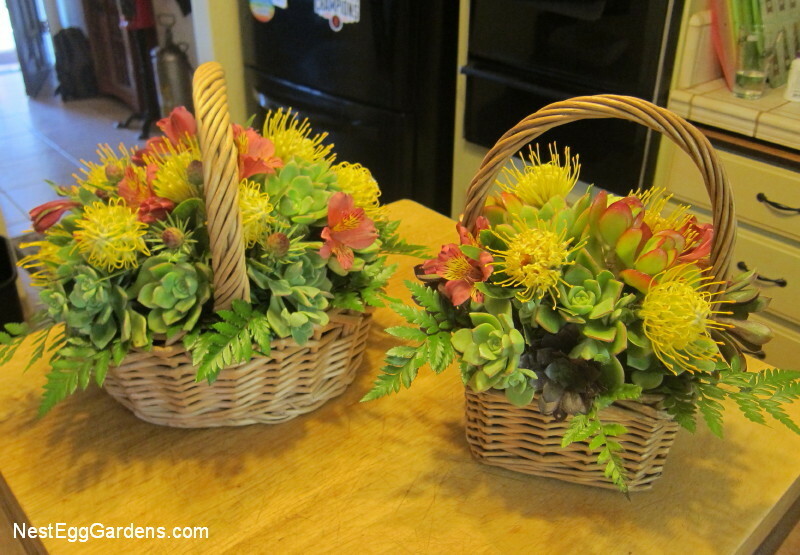 Buy a few at your crafts store or larger quantities online. 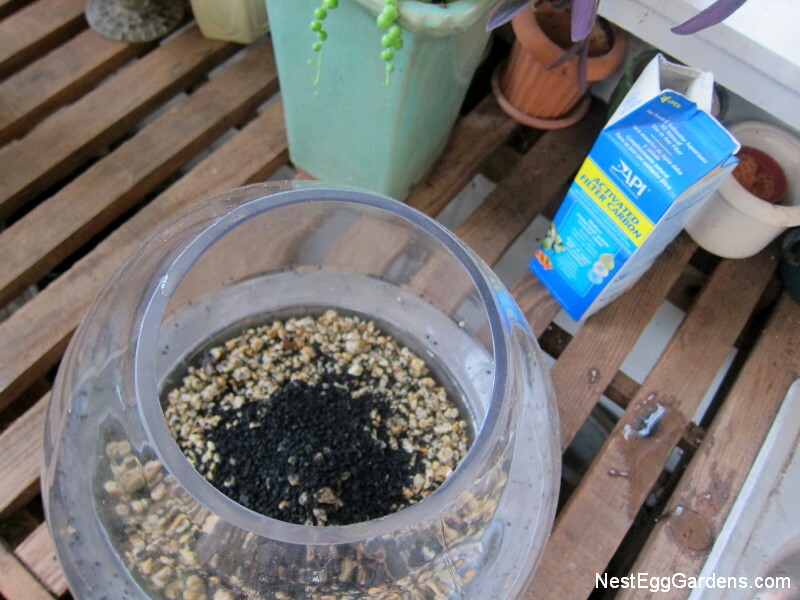 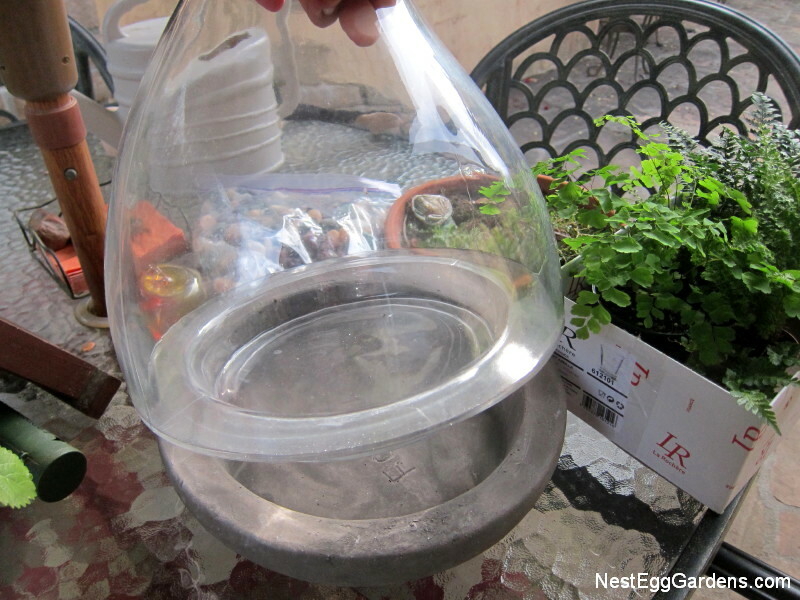 Soak some green moss (available at home/garden stores) in water. 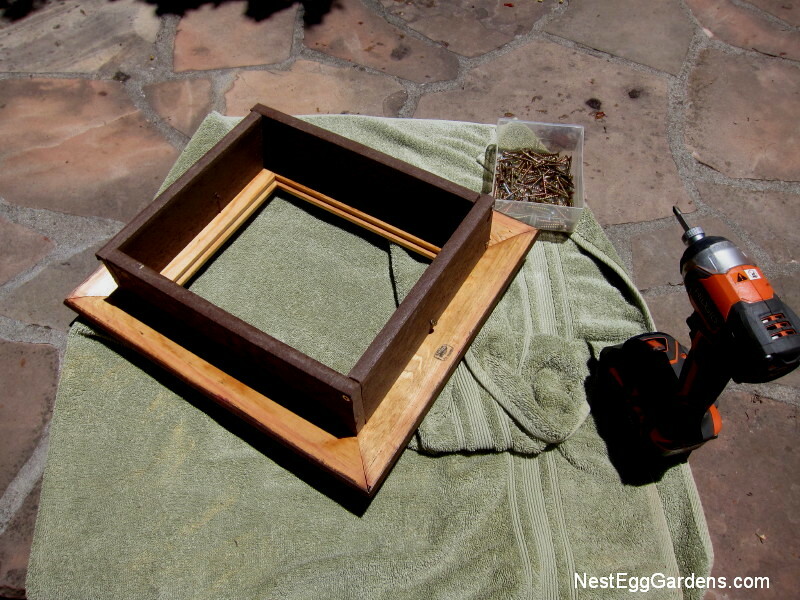 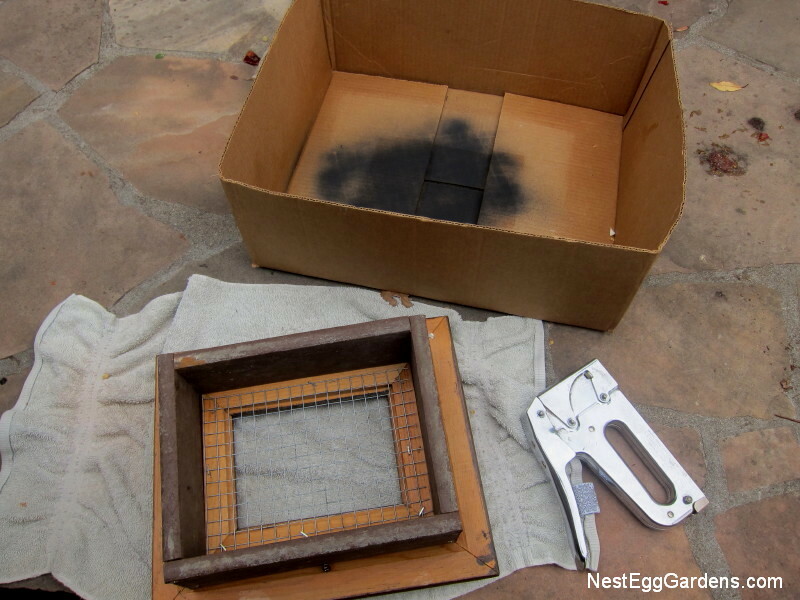 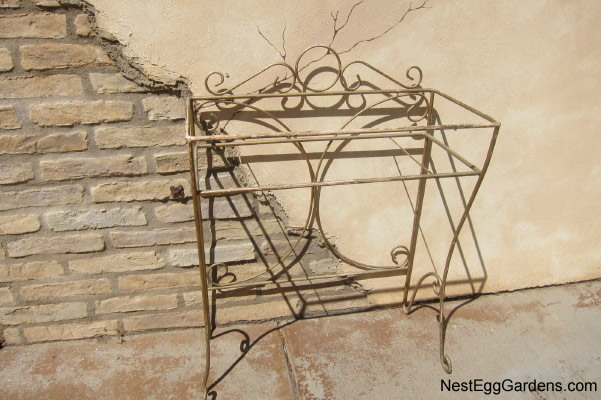 Squeeze out excess water (being wet helps hold to the shape of the frame). 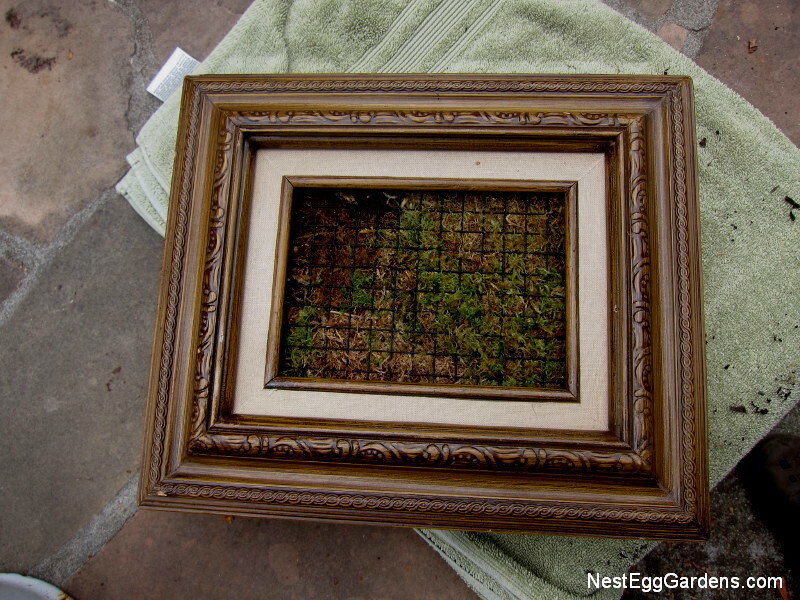 Line each wire frame a thin layer of damp green moss, pressing down the center all the way around. 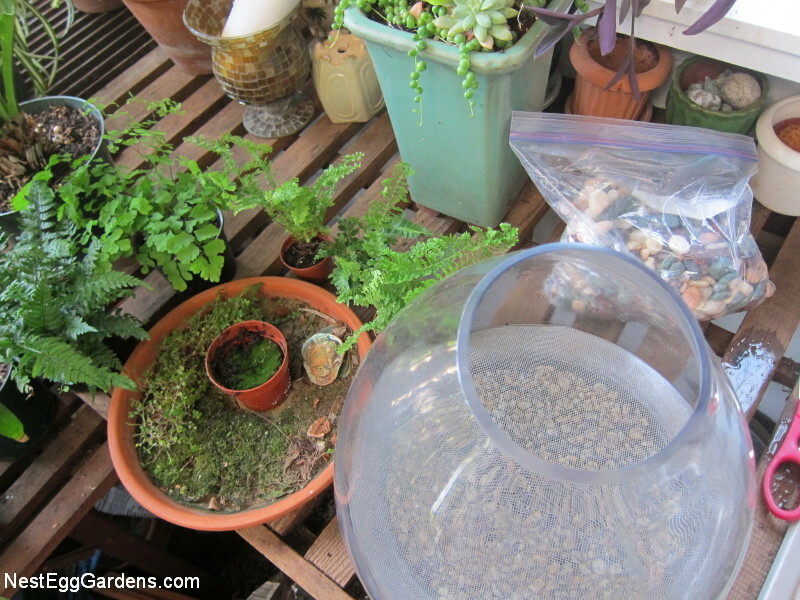 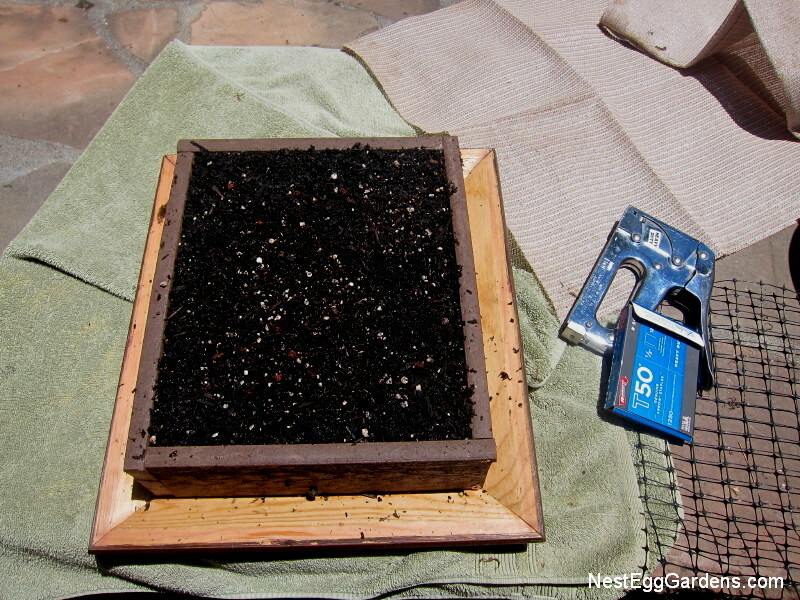 Add water to some of your favorite potting soil, stirring until it sticks together. 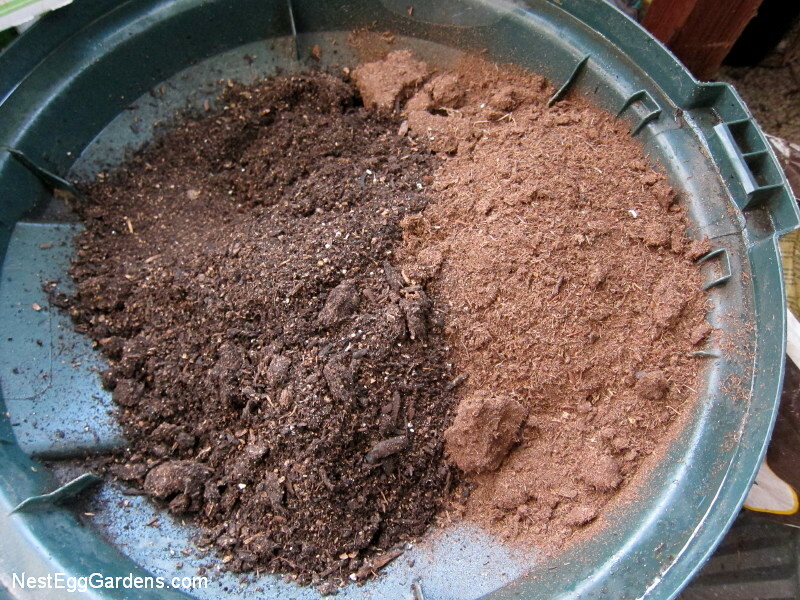 Squeeze a handful at a time between your palms and make a continuous mound of soil around the circle. 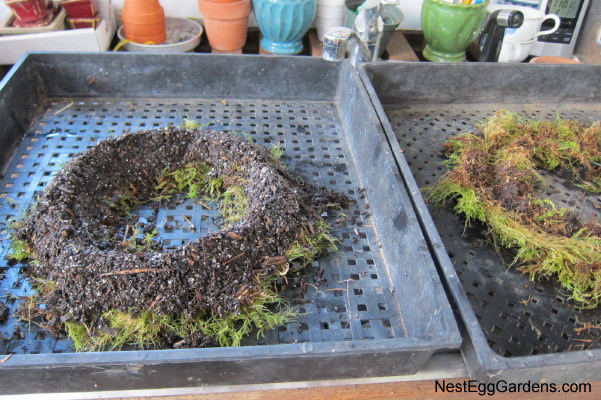 Quickly flip the empty moss lined wreath frame on top of the soil ring, Squeeze it together and tuck in the moss on the sides. 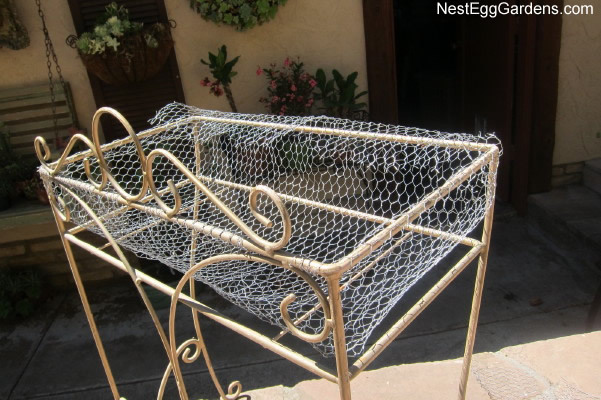 Fasten together by tightly wrapping with three pieces of heavy gauge wire (2-10″ and 1-14″ long). 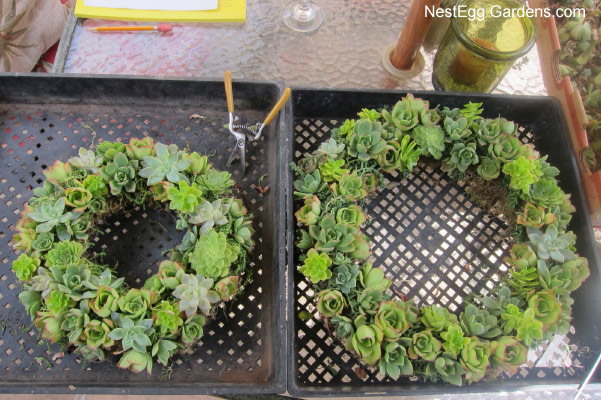 After fastening the 2 short pieces, flip it over so that the 2 twisted ends are on the front of the wreath (soon to be hidden by growing succulents). 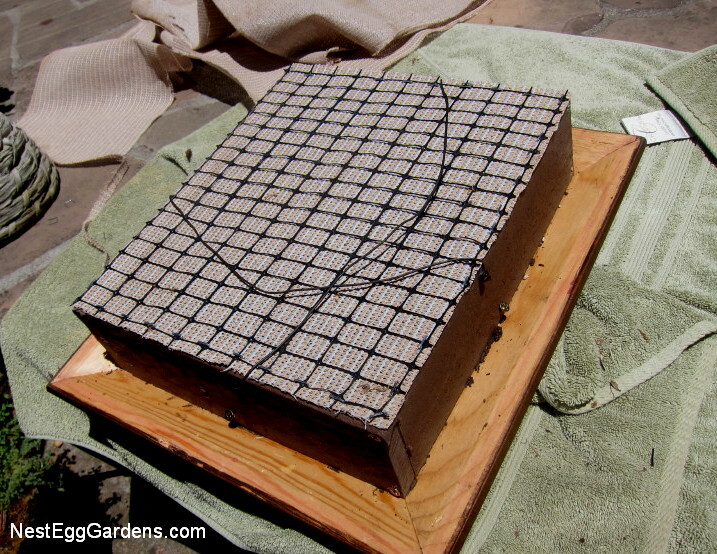 Wrap around the longest wire, bending the excess unto a loop for hanging. 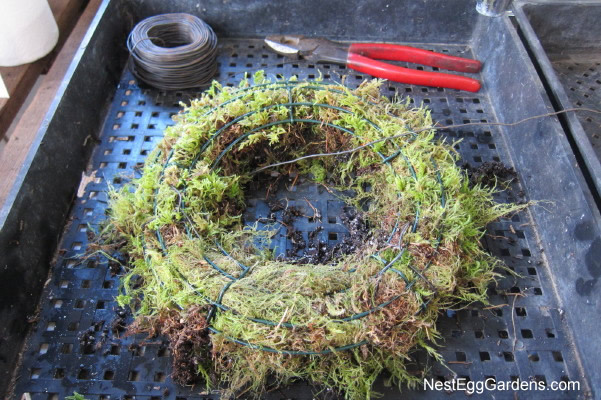 Twist wires and bend and stick the points into the wreath (this hides the sharp wires and secures the hanger in place). 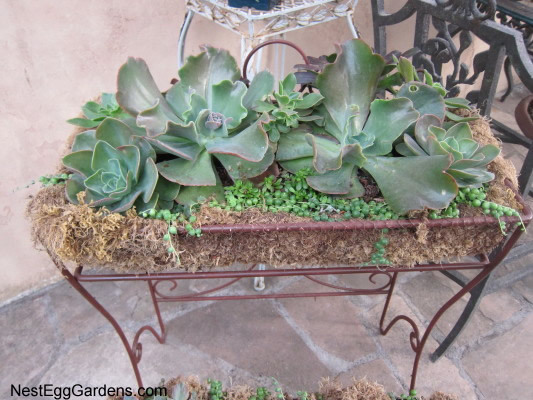 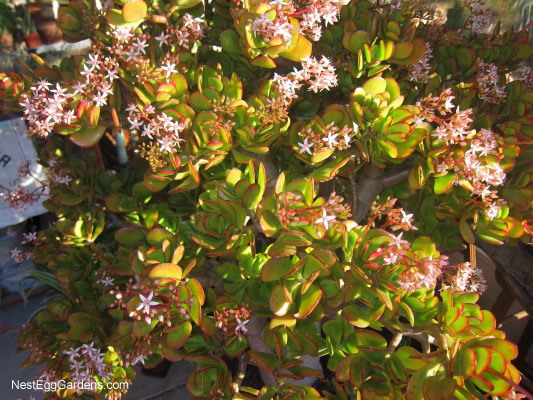 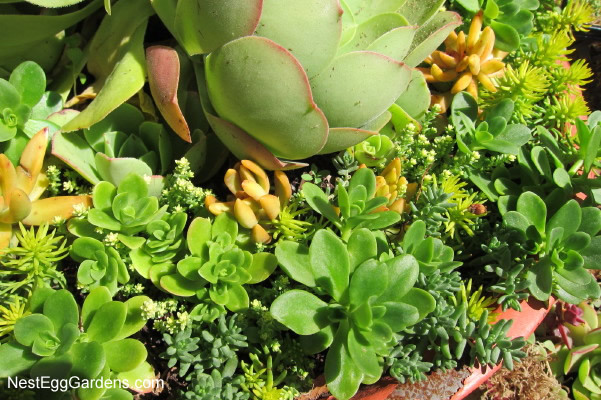 Let dry for a day or two before planting with succulent cuttings. 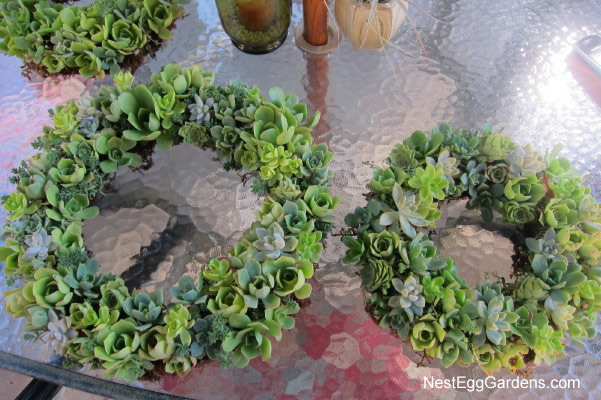 See Succulent wreath How To Part 2 and Part 3. 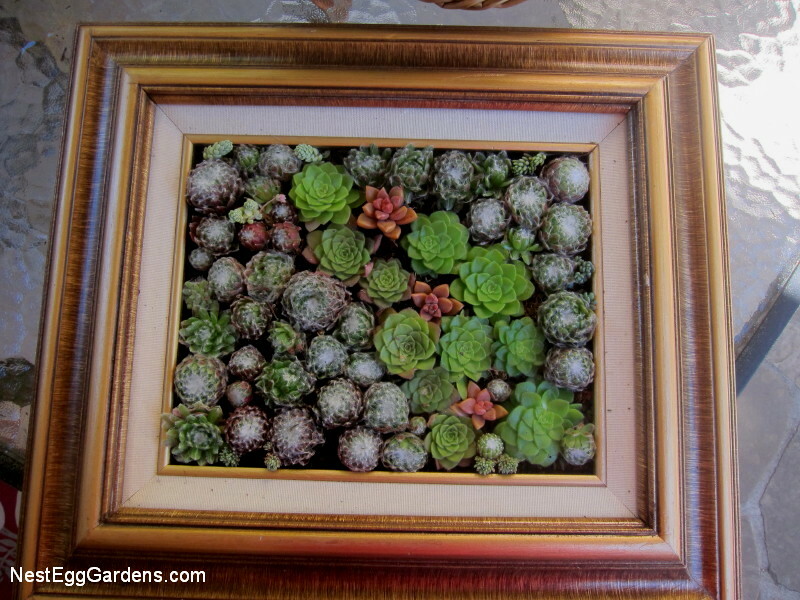 This entry was posted in Living Art, Projects, Succulents on August 13, 2013 by Shelly.